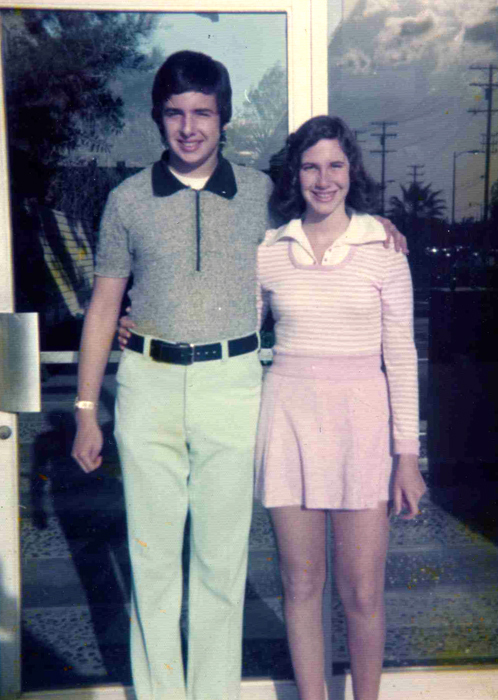 Here I am with Sam in front of my apartment in North Hollywood. I lived there from the time I was a year old until I got married at the age of 21. Link to lyrics, more stories and recordings for YOU’RE NOT THE ONE. It has been interesting for me to know that so many people are finding out about my life. I’ve enjoyed sharing my optimism, my artwork, my youthful stories, and most of all my music. It has been painful at times to share my sadness. Even though I am very upbeat most of the time lately, there is no escaping the stress of being responsible for my parents. I had a conversation today with my mother’s caregiver, Miriam. She wanted to talk with me about my mom’s deteriorating, mental condition. I let her know that I have certainly noticed it. I’ve decided that it is time now for me to speak to her doctor about the rapid and unrelenting progression. My mom more frequently has lost touch with reality and become fearful. My father attempts at every opportunity to prove she is “fine.” He has refused to allow her to have any new medications to thwart the progression. I understand that because my mom is extremely sensitive to side effects of most medications. Sometimes I realize how grateful I am for my dad. He handles a great deal of my mother’s issues and her anxiety. Without him, so much more would fall on my shoulders. However, my dad is becoming increasingly irritable and frail. My father is aware of my musical passion and has accepted it. Just thinking about that has me choked up. Next week, I will be performing at my mother’s nursing facility. She has expressed interest in seeing me perform. Bringing her to a show would be too difficult now for me. Therefore, I’ve decided to come to her. I need to practice all her favorite songs! Each time I record a song, I am transported back to how I felt when I wrote it. Lately, I’ve felt like I’m back in high school! I enjoyed recording “Autumn Recollections and Alone,” because the songs were so different from my other songs. 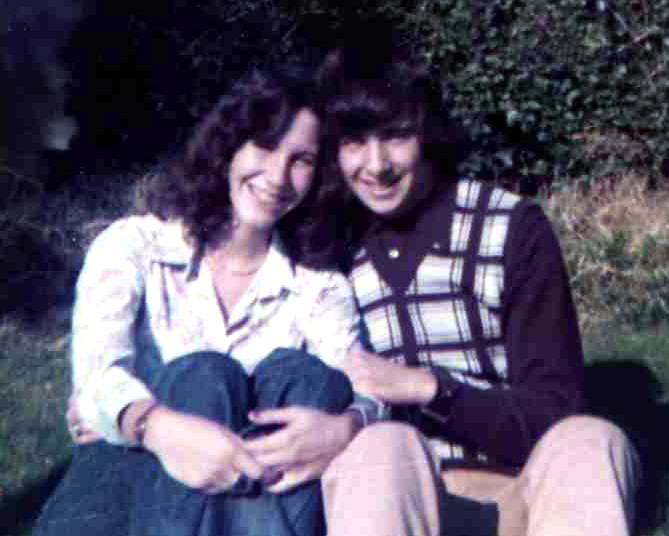 Tonight, I was a little bit shaken by a comment on my blog from my first boyfriend, Sam. He has read my blog. Now he knows that I’ve written a song (or two) for him. He left his comment on #184 YOU’RE NOT THE ONE. After reading his comment, I decided to take the heart off his face. My reconnecting has gotten so interesting for me! No more heart covering his face! I can’t believe when this picture was taken I had my hand on his thigh! With Sam’s permission, I am sharing some of our correspondence. This is a window into how it feels to flash forward thirty-two years after last seeing him. I have so much more insight into being a teenager! Subject: I am laughing so hard! Oh my god! How did you find out about my blog! Since I’m relatively unknown I’m amazed that you saw this. I’d love to hear how you found out about it. My life is now an open book (literally). However, I am glad I’ve found some semblance of joy again after so many years of trials and tribulations. How does it feel to have a song written about you? I hope life has gone well for you. I am sorry for being such an immature and fickle, young girl. Back from basketball…anytime I can get back without an additional sprain, ice pack, or ace bandage, I am thrilled! First off, I have to tell you how very, very sorry I am to hear about Jason…and words completely fail me, because they can’t express what I feel…no parent should ever have to go through that kind of hell, and I hope that your writings along with the support of your many friends will help you to process and move on. I saw your name on the Borders web site (Canoga Park)…your name came up because we have a mutual friend. I then used Google and came upon your web site…almost at the page where my picture with the heart was (you can remove the heart if you wish…I won’t be offended, but probably won’t be able to stop laughing!) I read a few of the beginning pages as well, but didn’t want to go further without announcing myself…just not into the “lurking, creepy ex-boyfriend” kind of thing…and if you prefer that I not read your posts, I won’t. The song is great (although I probably wouldn’t have thought so 30 years ago!). Now, I hope it goes platinum, and then People or Entertainment Weekly will want to do an interview with whoever the guy was, and I will have 15 minutes of fame! I never in the least found you immature or fickle…I valued our friendship, but life involves making a lot of choices, and your song expresses it well. I have been married to a wonderful lady for 24 years. As for me, I have been in private practice for 21 years, and my office is in Tarzana. I’ve had the opportunity to do some media work, and have been an occasional medical commentator on FOX News. I do the best I can to get my patients the best medical care available…lots of changes in Medicine, but I really do enjoy my career! Medicine is evolving into large, impersonal, multi-specialty groups, and I just can’t see being a part of that. I remain a dinosaur in a solo office. Around 15 years or so, I ran into your mom and one of your brothers at a restaurant…we got to chat for a while…sorry to hear about her declining health, and hope that you will still have many meaningful times with her and your father. They were both always very nice to me! 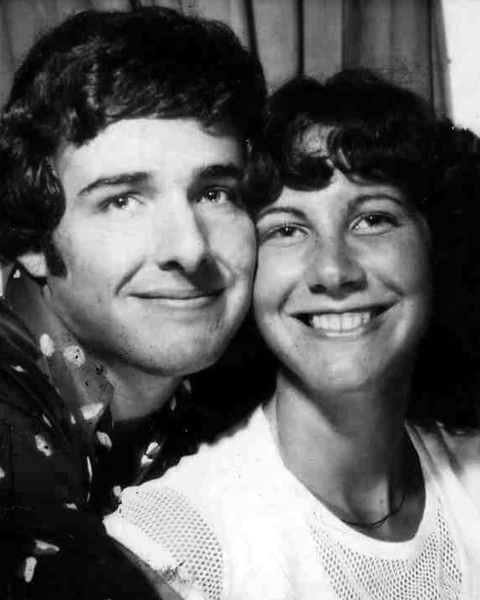 My dad passed away in 2004 and my mom still lives in the same house where that prom picture was taken, and has a “boyfriend” in his 80’s who is very nice and good to her! My sisters are both married and doing well…we get together all the time. I am so glad that you are back to playing the guitar, singing, and writing…your songs are terrific! With all the caretaking that you are doing, having an outlet, I think, is critical to being a great wife, mother and daughter. In my own practice I have seen many caretakers that don’t “take care of themselves” burn out, and I never want to see that happen to you! I completely understand about the additional injuries from sports – I am grateful I can play tennis without being hobbled by my toe bunions or tennis elbow! Every day, I am grateful for being healthy. I had some carpal tunnel issues recently, but I am managing with the symptoms now – just some mild tingling, at times. I’m laughing again – you’re a doctor, so there I go discussing my ailments. I bet you’re used to that! I guess reconnecting with you was also part of my journey. Would you be okay with my editing down some of our correspondence and sharing it on my blog? I have a lot of readers, and I think this whole thing is VERY Interesting! Since my life is out there on the Internet, I don’t think it is creepy at all for you to read it. First off, as a busy doctor, I am amazed you would make or find time to read any of it. There is a lot there. I started off in February and I was a writer that was literally exploding. I had too much to say. It was therapeutic for me, but I’m not sure what I wrote was that interesting to read. I never expected it would all lead to my passion for my guitar and music, although from the get-go I picked up my guitar when I started writing. Your compliments on my music touched me very much. I love my “song stories” and melodies. I have gotten such an enthusiastic response from many people. My own family is less enthusiastic. My daughter and husband remind me that “no one buys music” like this. I don’t care too much. I used to feel guilty once my career evaporated that I needed to make money at something else. I am realizing that this is the best thing that ever happened to me. After so many years of unhappiness, I am really thriving with my creativity. Money is just not important. We live off our equity line, and I do worry about that sometimes. But then I remember, bill collectors hounded J.K. Rowling, and look at her now! Back to you reading anything – feel free! I actually had a thought that it might be very cool to see each other – our spouses can join us; that’s fine. This sounds creepy now – I would definitely want pictures and to share it on the blog, too! Thank you for your condolences about Jason. You certainly understand how dealing with medical issues can be baffling for someone like me. I learned then and there that medicine is an art, not a science. His health issues were unrelenting and exhausting for me. On top of that, my bereavement was compounded by my sons’ autism. However, I have processed and moved on to this wonderful place where I am very much at peace. In some ways, “moving on” implies going away from. I actually don’t know if that’s the best word to describe the process. I think I’ve embraced my pain, instead of “stuffing it” and trying to ignore it for many years. I didn’t have a good answer for her! That’s sweet that you thought I might be a recording artist someday. I certainly dream about it, but at 51 I’m not sure if I have a chance. I do dream, and I think our current, baby-boomer generation might embrace me. People like happy endings, and mine would be a story like that. I could just see a musical with all my songs in it! So my life is full now as I write, sing, and share images and stories from my art career. It was wonderful to hear from you. Your comment was lovely and you are welcome to comment more. I actually did share that I wrote another song for you (I’ve Always Cared). You might not have caught that one! Sorry to hear about your dad. I can picture him well; I remember your sisters, too. On a side note, my oldest son loves bowling. I remember you were a terrific bowler. My older brother, Norm, still bowls. p.s. I am touched that you didn’t think of me as immature or fickle. Of course, we make our choices in life – which is what I ultimately did. I’m glad the tingling is better…keep up with the braces, and hand positioning on the computer is important…try to elevate your wrists with a pad in front of the keyboard… and if you use a mouse, it’s a good idea to also have a mouse pad with front padding that will keep your right wrist elevated. While it doesn’t make as much sense, its possible that a lot of guitar playing could also lead to some sort of repetitive motion syndrome with nerve irritation….pretty much anything we do in our 50s that we haven’t done before gets complained about by our bodies, unfortunately! I think that your reconnecting with your writing and music is very important to your healing, and that is the most important thing right now…it also happens to be terrific stuff (in my opinion, because it is so very real). Whether anyone wants to buy it isn’t important right now. You didn’t start out painting pictures of candies or farms either…first you became an artist, and then you figured out what sold. I think you can do the same thing with both your music and writing…if you ultimately decide to embark on a career, you can then work on “what sells”…but it would probably be counter productive to do that now. It would be great to get together, but don’t know if I can find another baby blue tux! 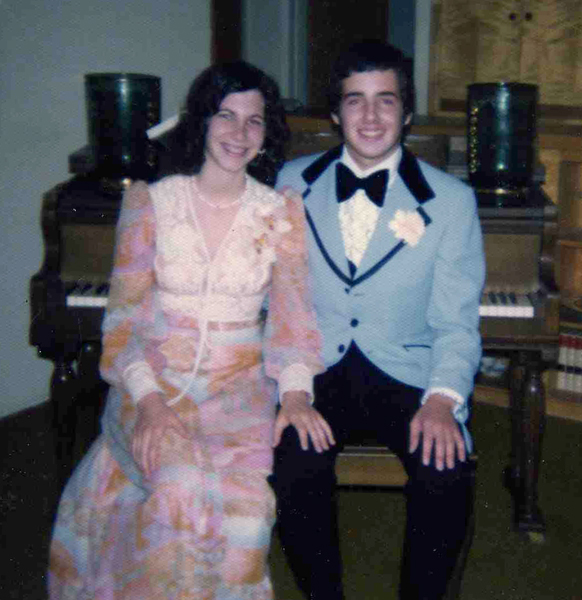 🙂 What the heck was I thinking…who would wear a tux that color in any year or generation? Where were the fashion police? Now I’ve updated you on the current challenges with my children. On top of that, my mother called me crying today with a panic attack. Life has been stressful. But then, there’s my other life. I am in the process of writing three posts and composing the lyrics and melody for my next recording on Sunday. It saves me now that I have this. Humor is good because I know I’ll look back at my day today and laugh. I appreciate you’re allowing me to share. I find it all so interesting, this journey of mine that began in February. I can’t believe your son looks so much like the way you looked at 18. Of course, I hear the same thing said about my oldest son who looks just like my husband used to look! This entry was posted in Uncategorized and tagged "sandwich generation", Aging Parents, Caregiving, childhood friendship, Friendship, Humor, old boyfriend, Ordinary Life, parenting, reconnecting, writing. Bookmark the permalink. 1. My kids won’t allow me to share pics of them anymore and I have nothing left. 2. Since I’m going to record my wedding song soon, I plan on posting a lot of pictures of my wedding. That will counteract the “old boyfriend” thing. The last thing I have to say is: Yes, you were “fashion challenged.” But you were still so cute! By the way, I was not fashionable either. My mom picked out my clothes for me, so I can blame her. You can probably blame your parents on this one. Or did you pick polyester? JUDY, YOU LOOK NICE AND SLIM AND YOUR OUTFIT LOOKS LIKE CHRIS EVERT!